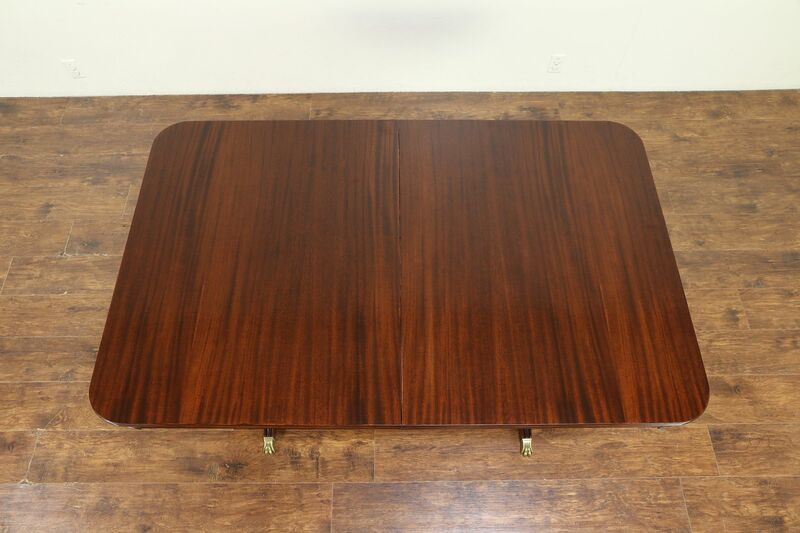 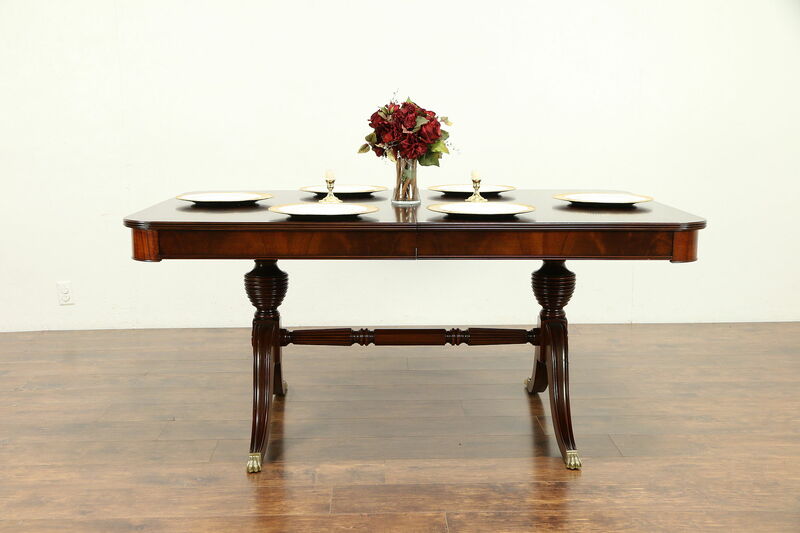 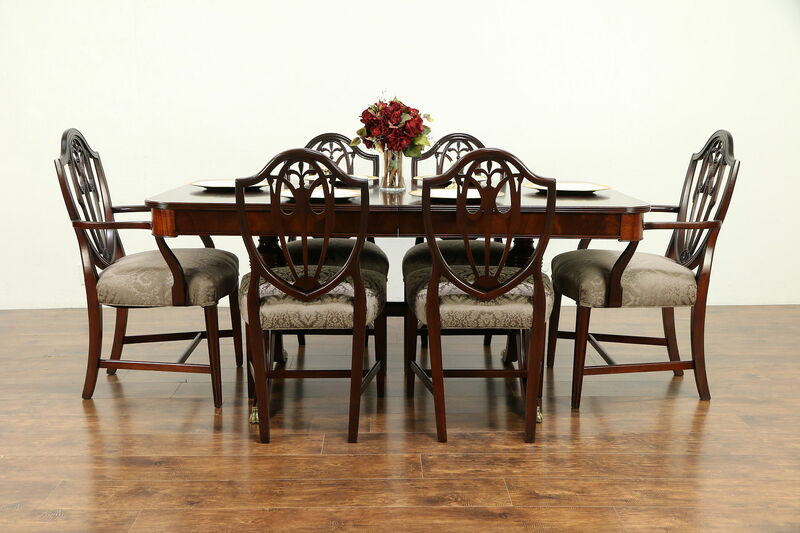 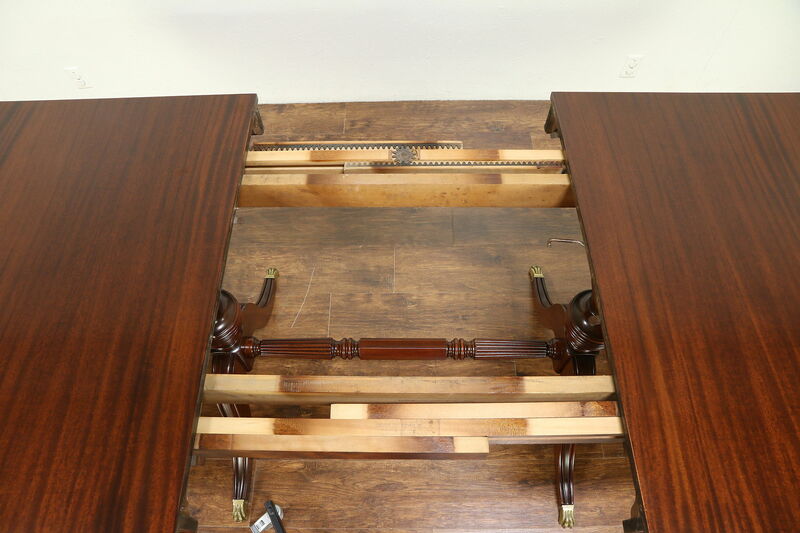 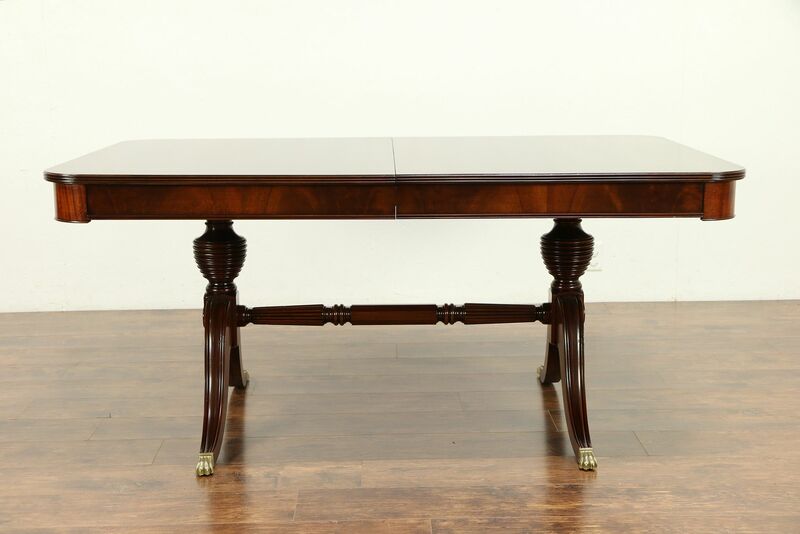 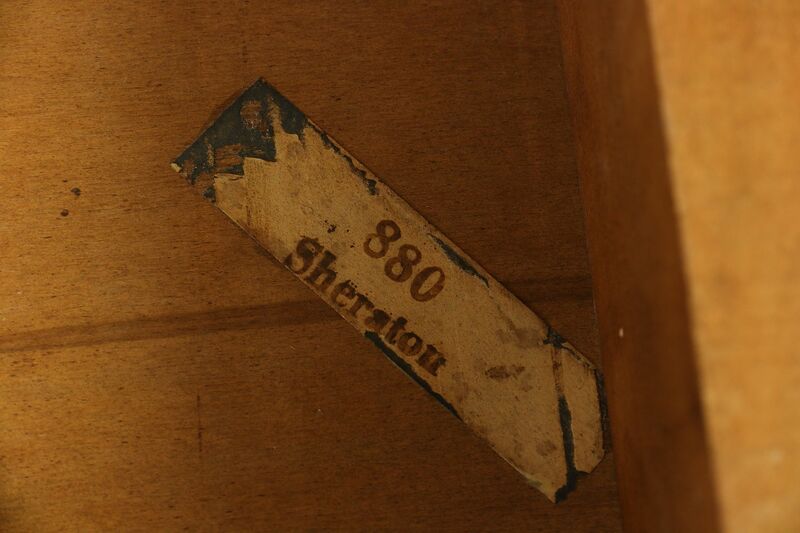 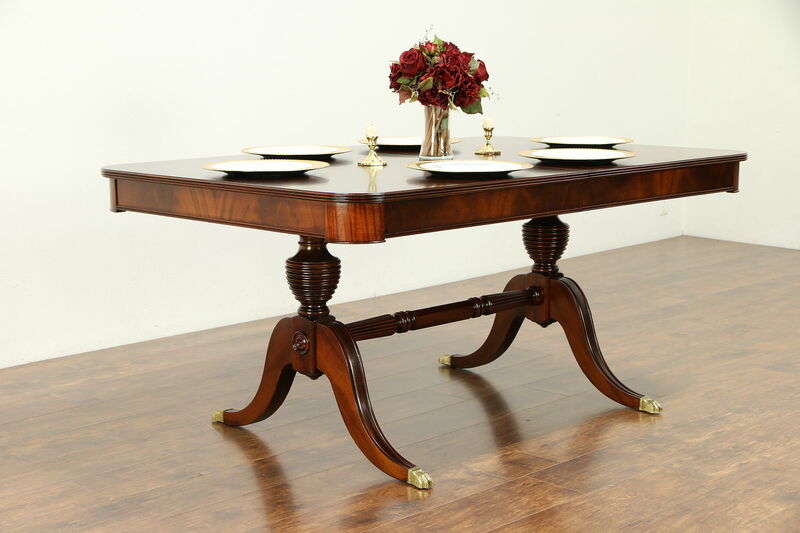 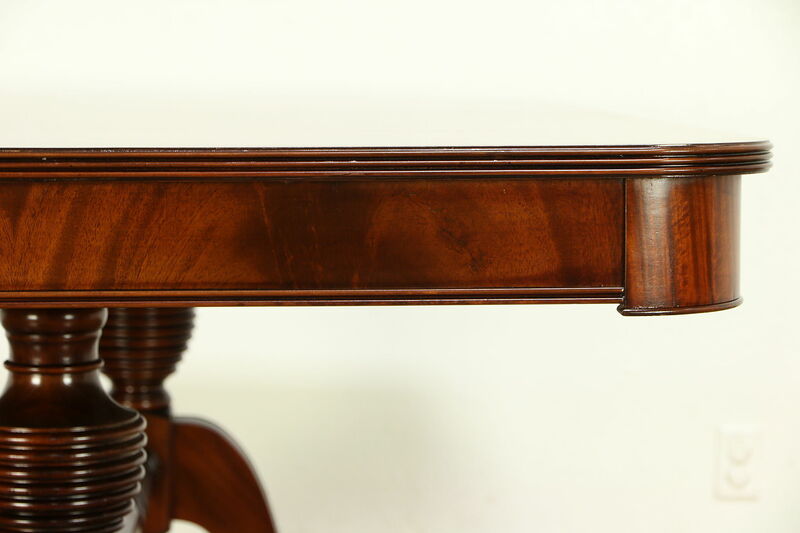 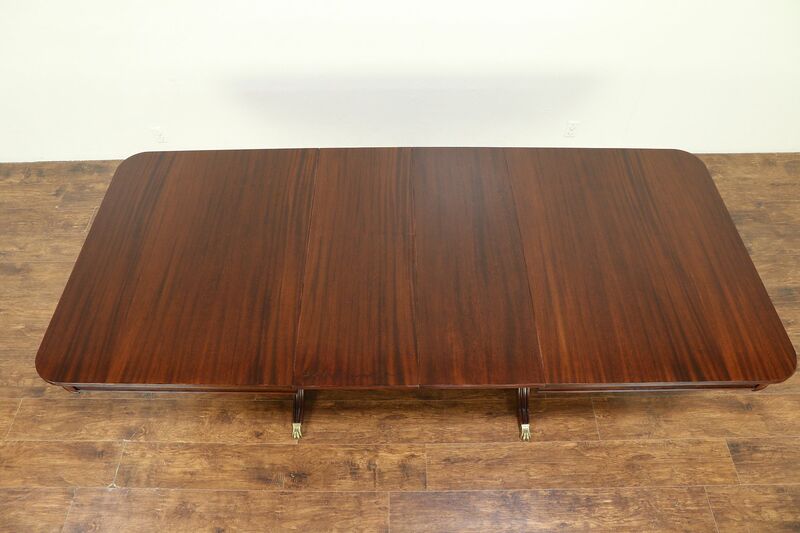 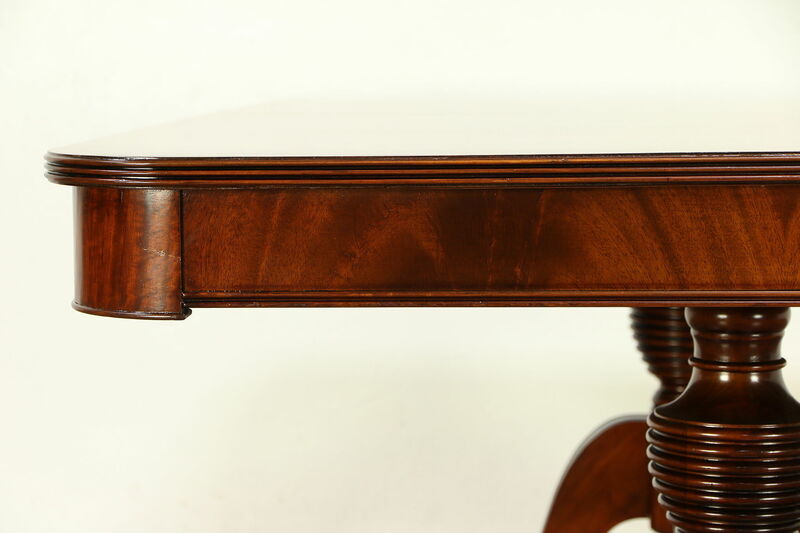 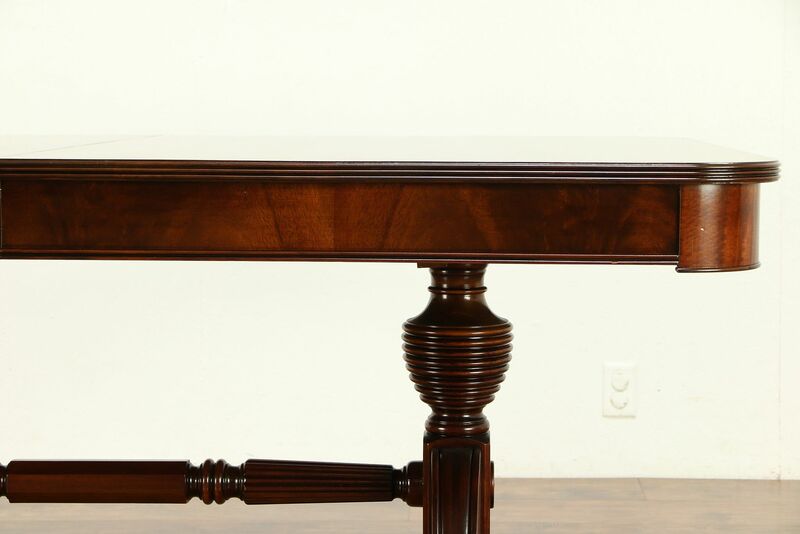 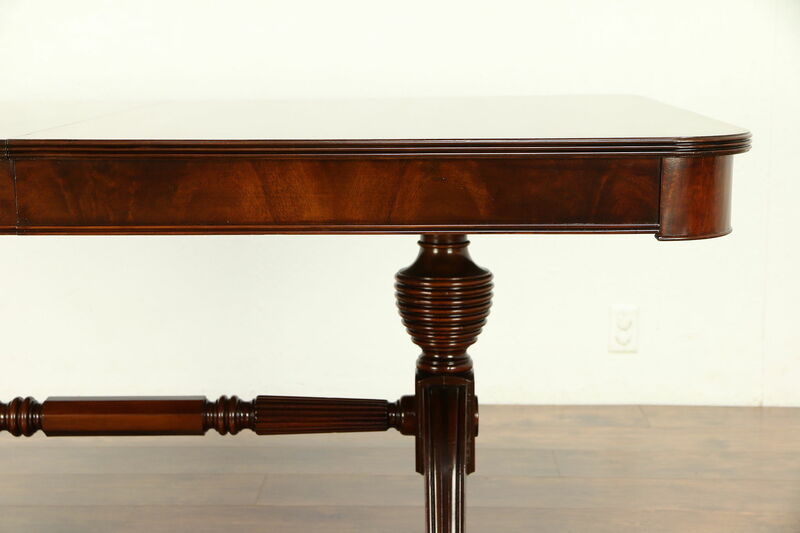 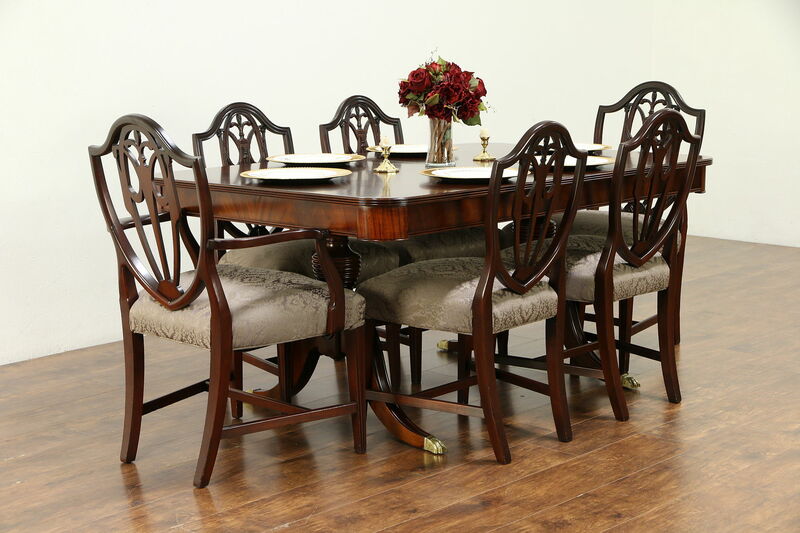 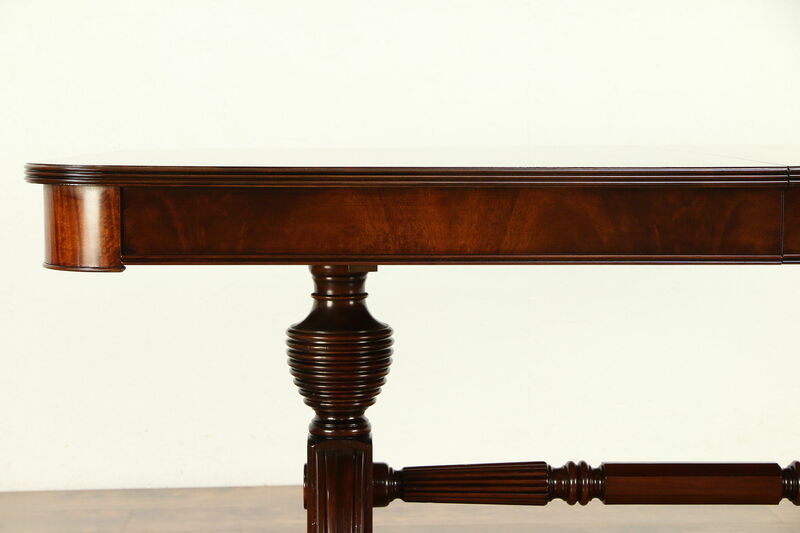 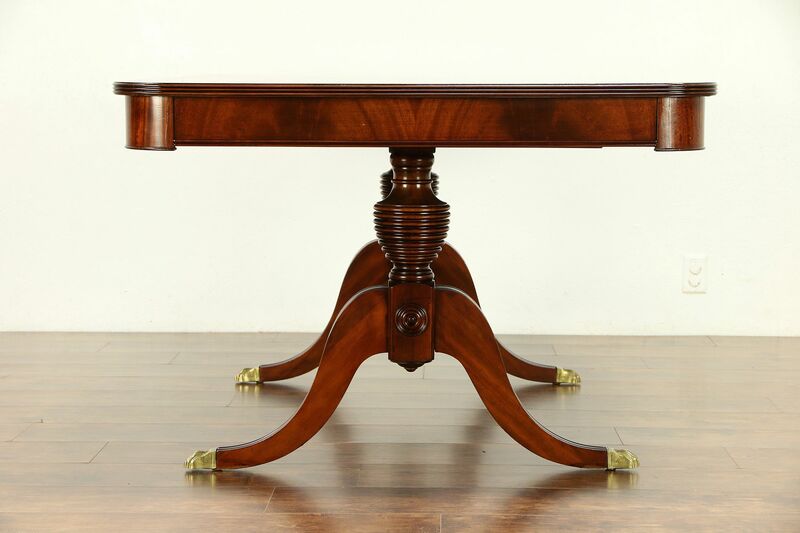 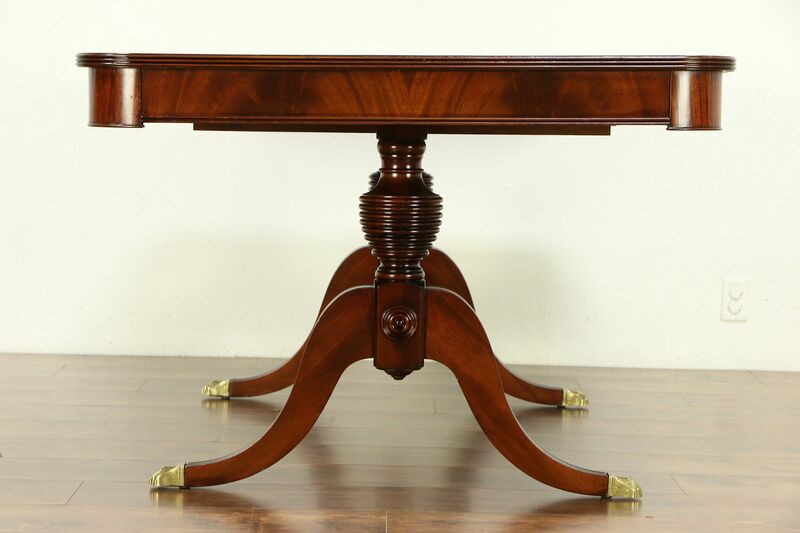 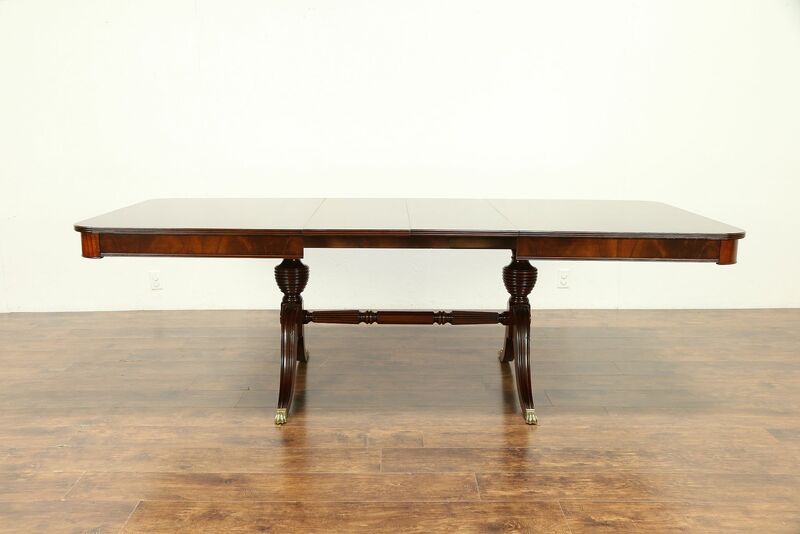 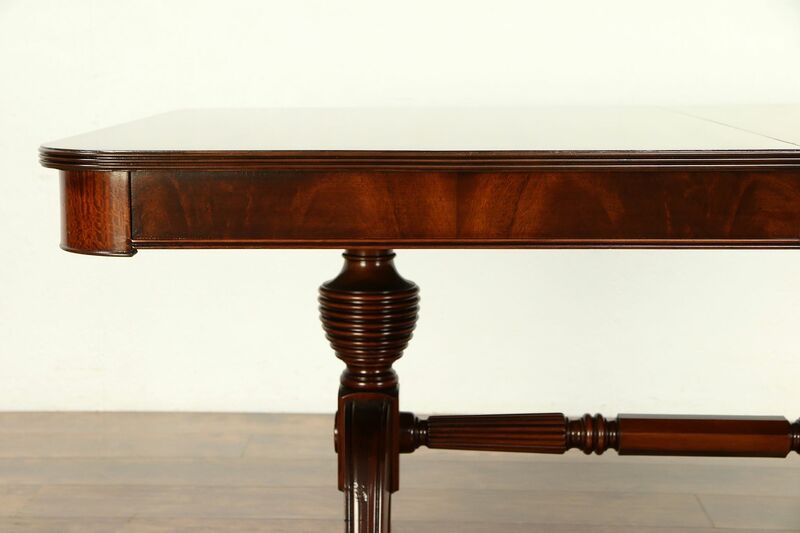 A traditional mahogany dining table from about 60 years ago has shimmering grain and two original leaves. 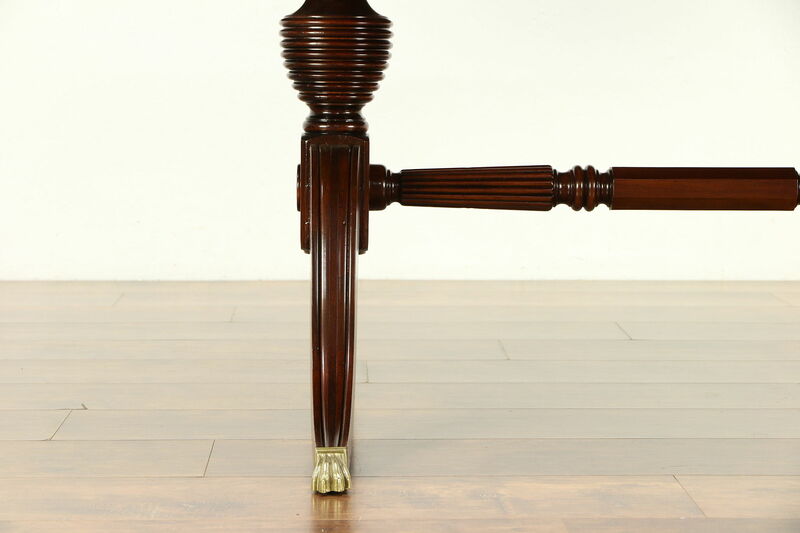 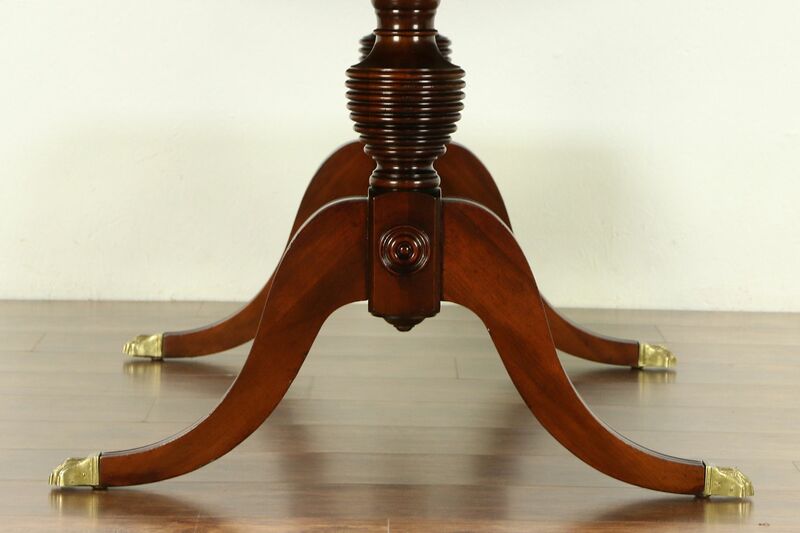 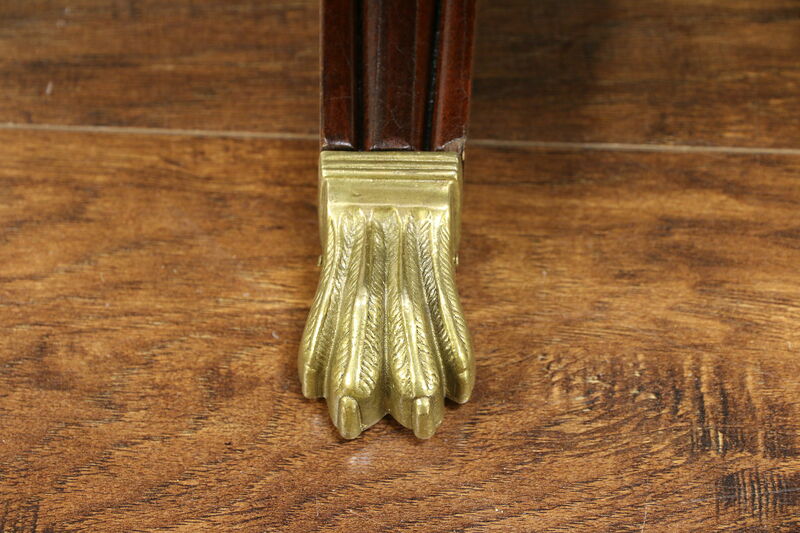 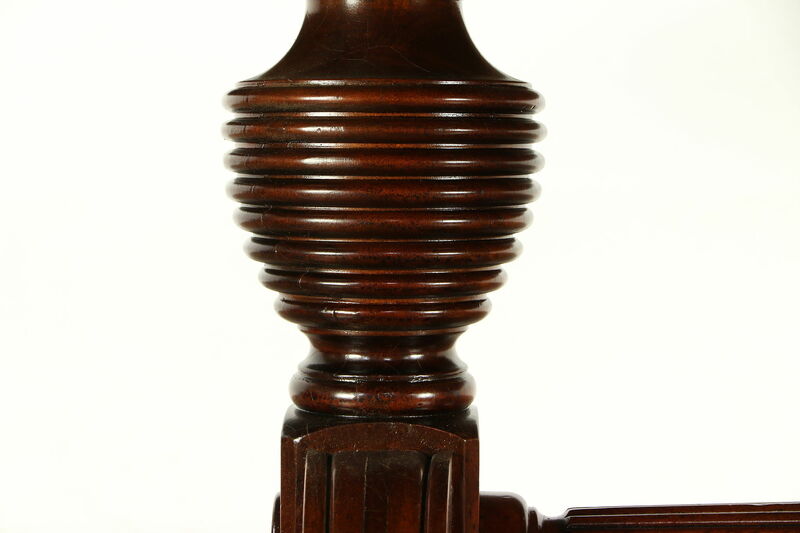 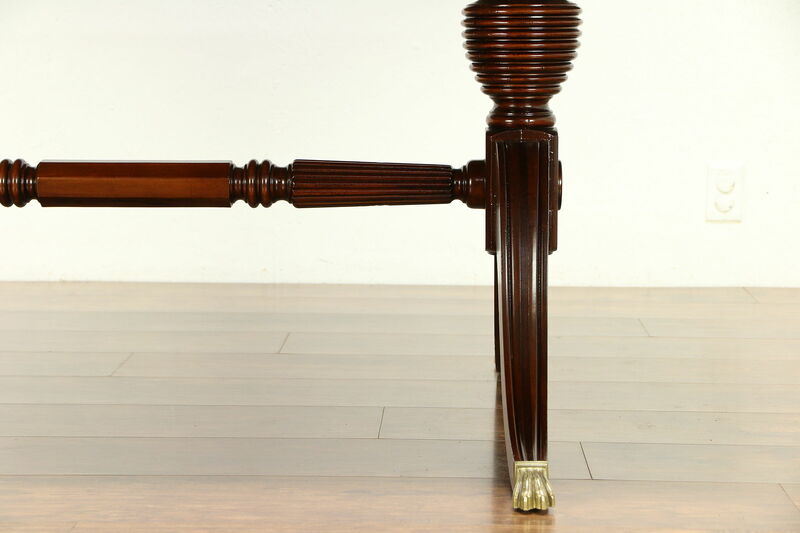 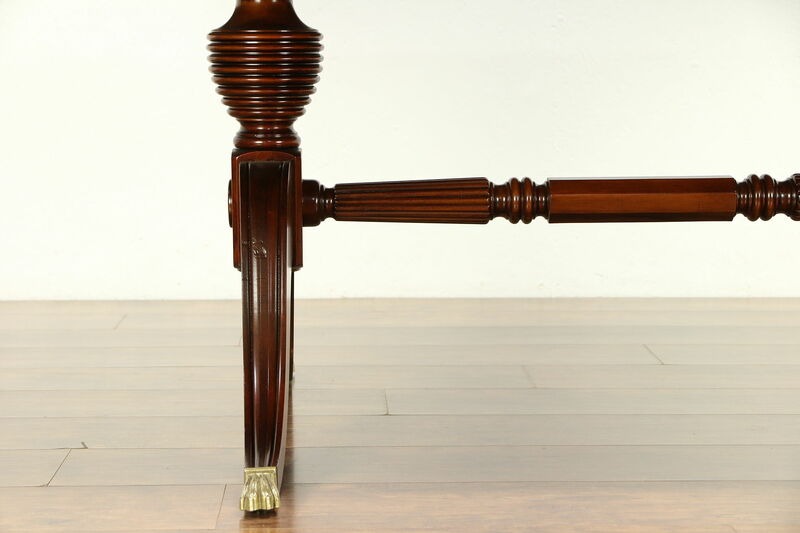 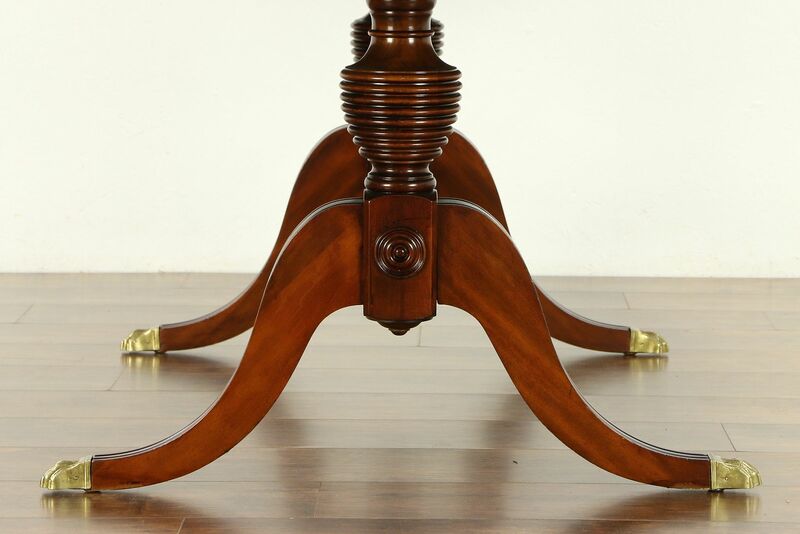 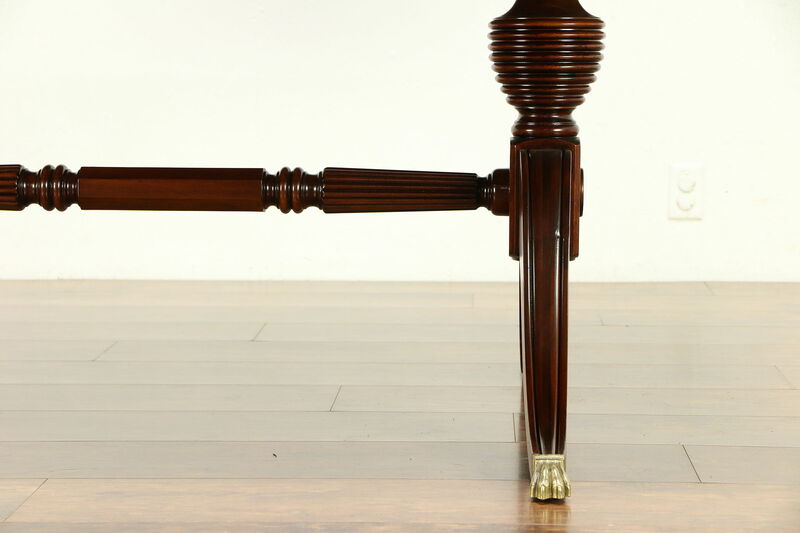 Turned pedestals have feet with brass paw tips. 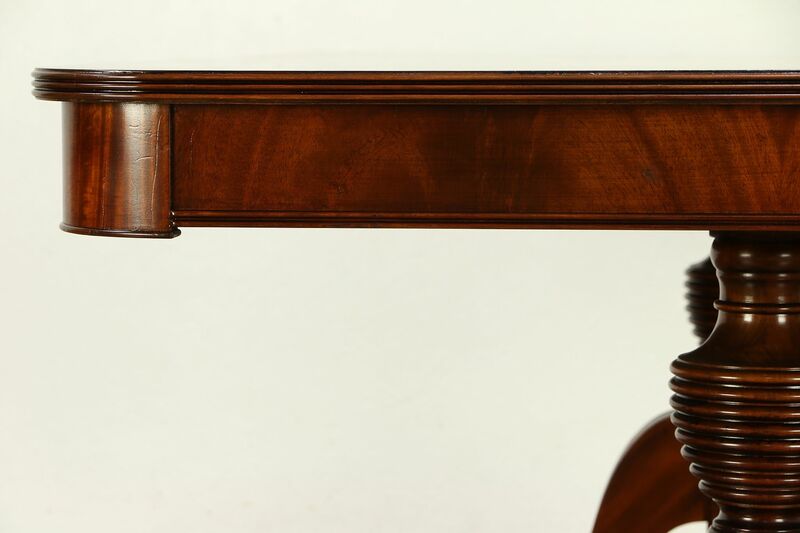 The restored gleaming finish is in excellent condition on this American made vintage furniture, preserving a few mars and dings for a little antique character as shown. 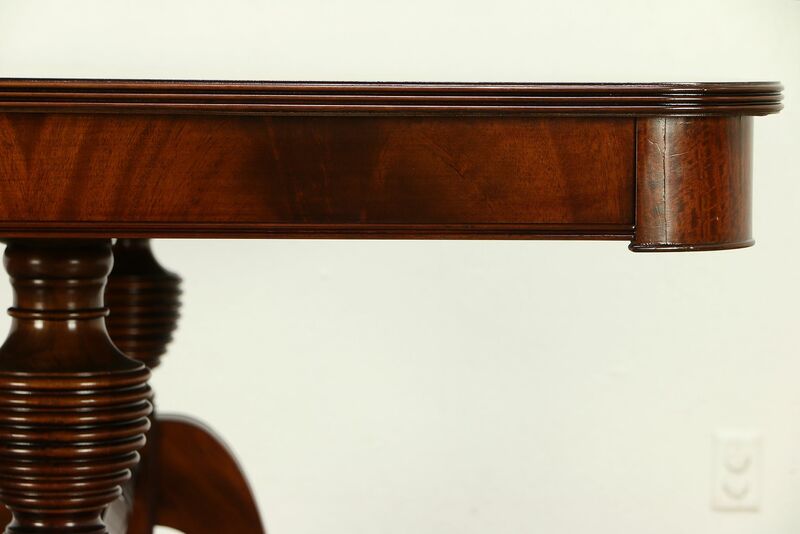 One leaf has shrinkage separations at the end, see photos. 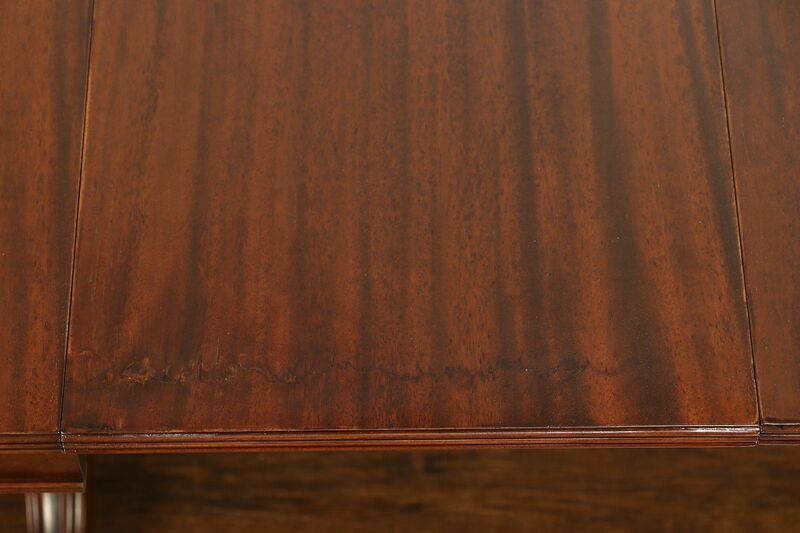 The aprons are matched flame grain. 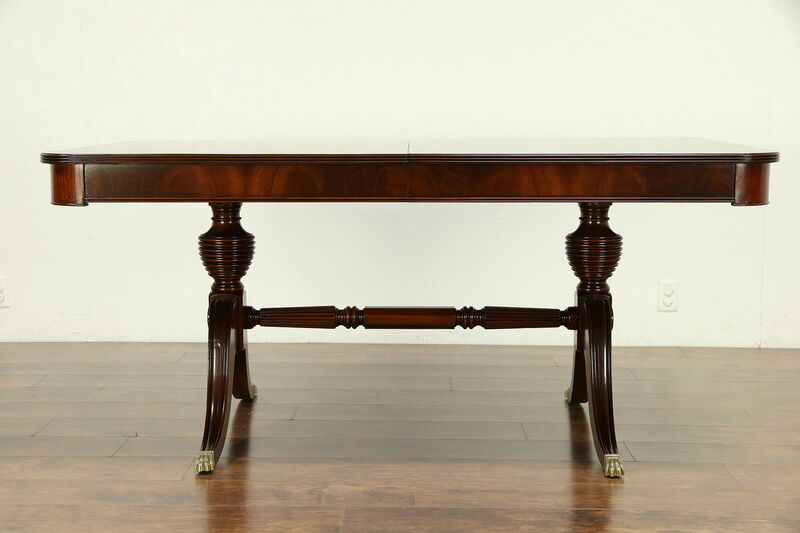 Size when closed is 42" wide, 30" tall, legroom is 25" and length is 66," with both 15" wide leaves in place, length is 8' overall.